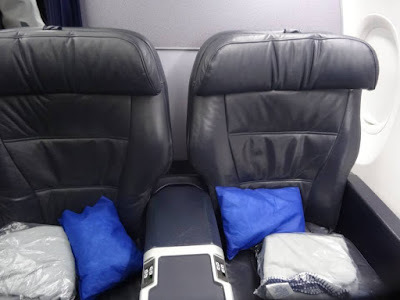 Home » business » business class » copa » copa airlines » jfk » montevideo » new york » Uruguay » Copa Airlines: New York to Montevideo from $1192! 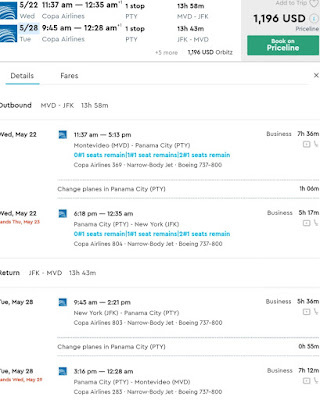 Copa Airlines: New York to Montevideo from $1192! 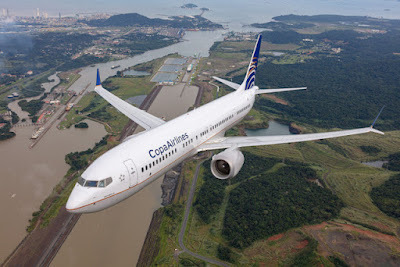 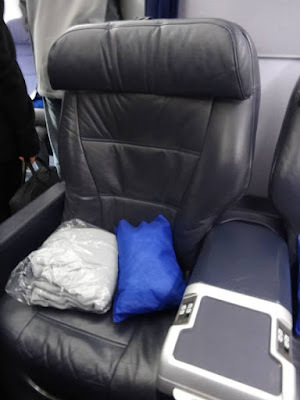 Copa Airlines having a sale from New York to Montevideo or vice versa via Panama. 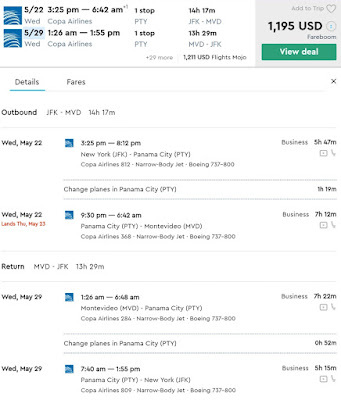 Prices start at $1195 with short layovers in Panama. 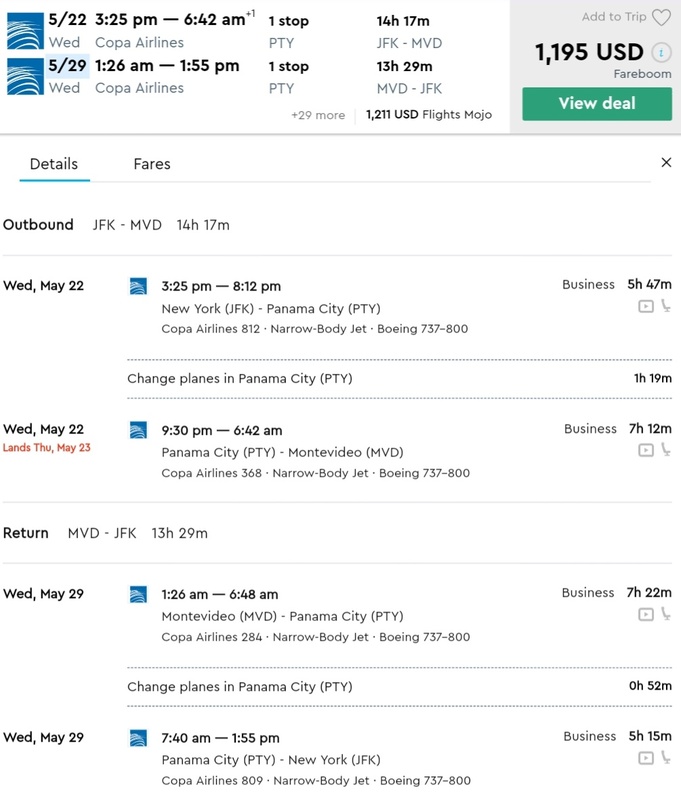 JFK to MVD from $1195! 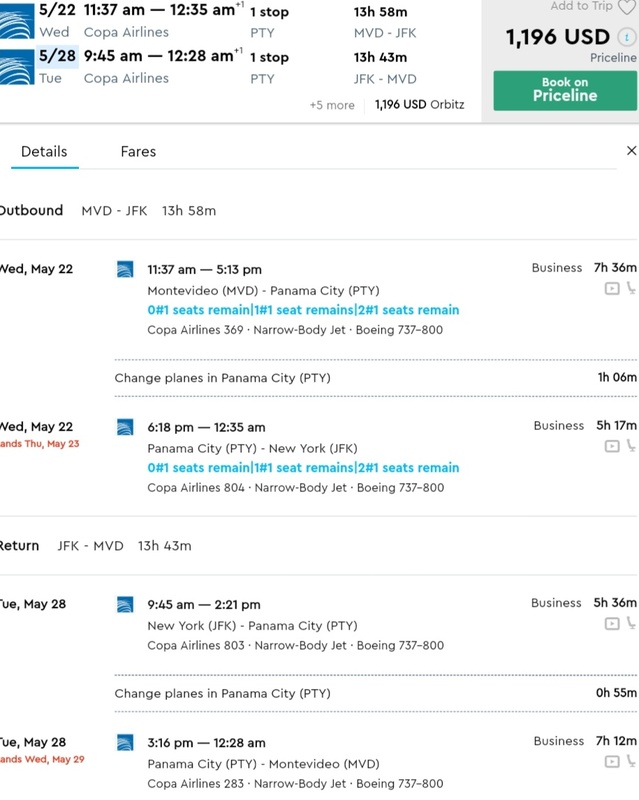 MVD to JFK from $1196!